The Brooklyn Conservatory of Music is committed to providing a nurturing environment that promotes and personifies excellence, collaboration, and community for individuals engaged in performing and music study. The Suzuki program builds on the principle that if surrounded by a nurturing environment, all children can master music just as they learn their mother tongue. I worked closely with their Executive Director and team to develop a logo for their Suzuki program. This logo was created to work well as a sub logo of their main logo. It features the main instrument families they provide instruction for and is intended to be appealing to both kids and parents. 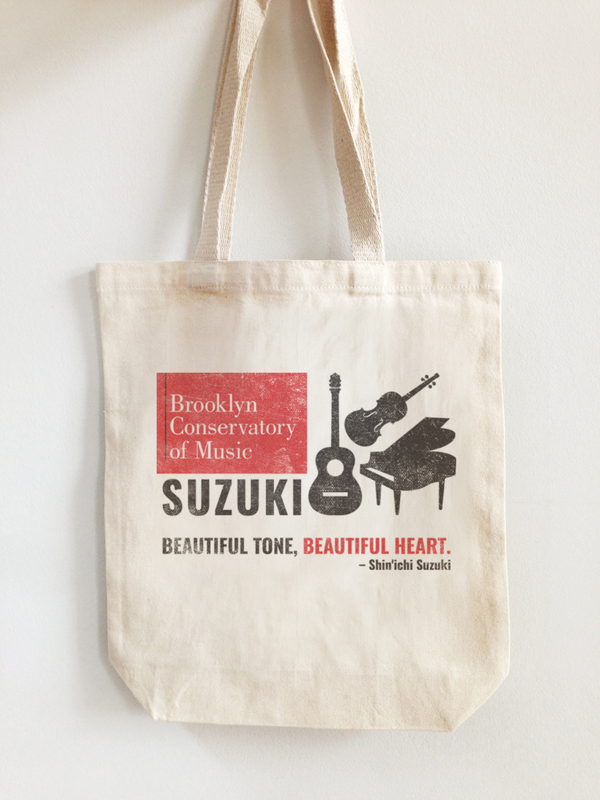 The logo was featured on a tote bag used to entice donations to this non-profit.